The Satanic Temple views Satan as a “rebel against God’s authority, rather than an evil being,” and it advocates religious freedom, according to the lawsuit. 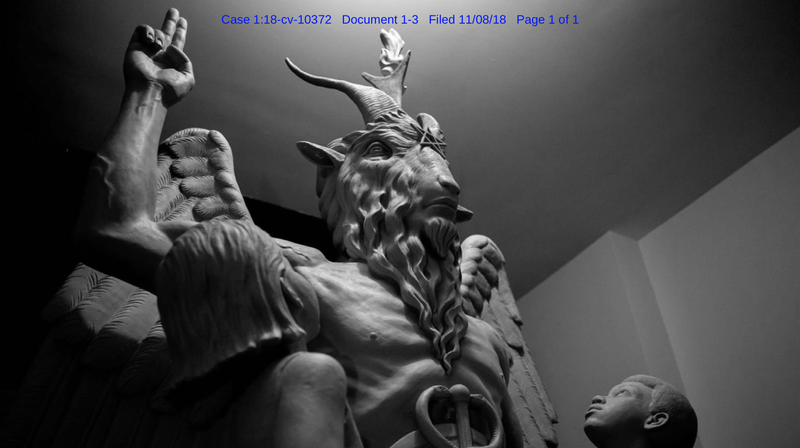 The Baphomet with Children statue was designed from 2013 to 2014 in response to a Ten Commandments statue being donated to Oklahoma City, the lawsuit says. Satanists are suing Netflix and Warner Bros. over the new Netflix series “Chilling Adventures of Sabrina,” accusing the companies of ripping off its statue of Baphomet, a goat-headed deity. The Temple seeks no less than $50 million in damages. Netflix referred inquiries to Warner Bros., which declined to comment. The Satanic Temple threatened legal action last month over the statue, which appears regularly in the new series that follows Sabrina and other young witches who get their powers from Satan. The suit accuses Netflix and Warner Bros. of copying one particular statue of Baphomet, made by the Temple, and then implying it stood for evil in the series. The Temple says in the lawsuit that it views Satan as a “literary Satan,” “meant to be a rebel against God’s authority, rather than an evil being.” It also claims to advocate “equal representation where religious monuments are placed on public property” and “legal protection against laws that unscientifically restrict women’s reproductive autonomy,” according to its website. “Among other morally repugnant actions, the Sabrina Series’ evil antagonists engage in cannibalism and forced-worship of a patriarchal deity,” the lawsuit says. The Temple says it created the statue Baphomet with Children from 2013 to 2014 in response to a statue of the Ten Commandments being donated to Oklahoma City. The Temple says in the lawsuit that the statue cost approximately $100,000 to develop. It temporarily placed the statue near the Arkansas Capitol in August to protest another monument of the Ten Commandments, arguing for religious equality. 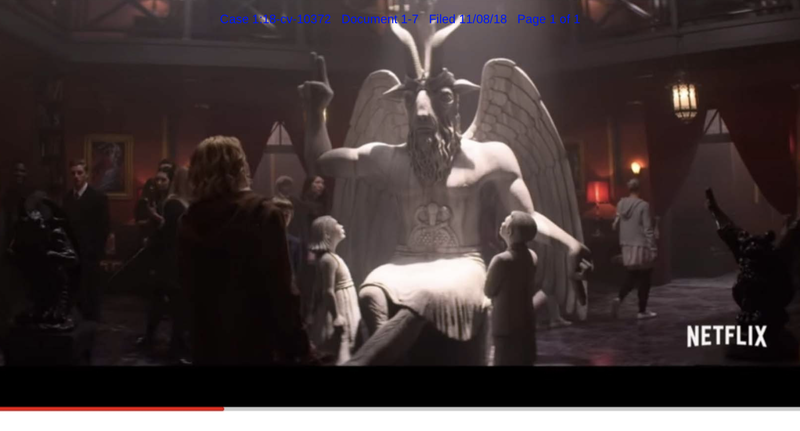 While Baphomet is a figure that has been used in various ways throughout history, the Temple alleges that Netflix copied its specific iteration. The “Sabrina” production designer, Lisa Soper, seems to disagree. Baphomet has also generally been depicted with “exposed large voluptuous female breasts, not a male chest,” according to the lawsuit.